There's a reason that mythology has been a subject of creative endeavors for so long. There's so much room in it for dynamic emotion and beauty. There are so many conflicts waiting to be brought to life and characters to explore. 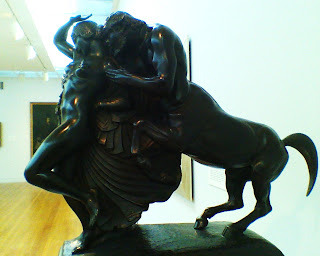 For instance -- how is Hippodamia, a woman, related to the centaurs (bred from mares) at all? 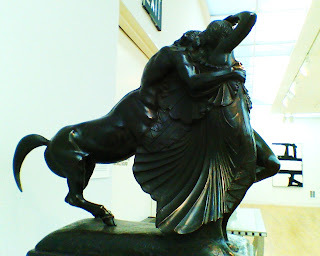 And what relationship did the Centaurs feel they had to the Lapiths, if the centaurs came from Ixion's line, and Ixion maybe wasn't necessarily Pirithous' father? How did they all get along BEFORE the wine and the wedding came between them? photos taken by and copyright belonging to me!